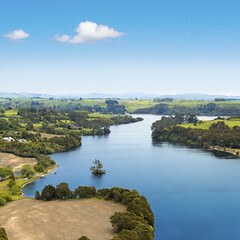 From sandy beaches to towering mountain peaks, Australia's eastern neighbor New Zealand is known around the world for its breathtaking natural beauty and contrasting landscapes. 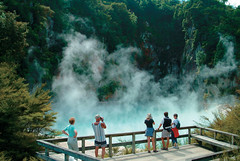 We have performance tour programs that are perfect for incorporating New Zealand's beauty and culture. The South Pacific nation is comprised of two main landmasses – the North Island and South Island, which feature different climates and seasonal weather patterns. 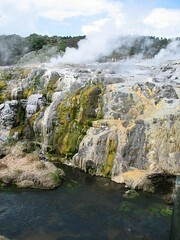 More recently, New Zealand is known among tourists as the setting chosen for Peter Jackson's production of J.R.R. Tolkien's The Lord of the Rings trilogy. 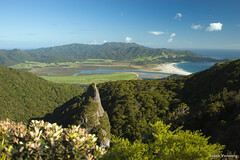 This dynamic country offers a mix of urban and natural appeal that any group is sure to enjoy. Wellington, the country's capital city, is home to a variety of performing arts organizations, including the New Zealand Symphony Orchestra and Royal New Zealand Ballet. To the north, the country’s largest city Auckland proudly features the Auckland Philharmonia Orchestra. The country also has a proud tradition of European folk music, brass bands, and pipe bands. The University of Auckland, New Zealand School of Music, and Christchurch School of Music are among the country's renowned musical institutions. Tours of scenery from The Lord of the Rings trilogy, picturesque ferry rides, attending a traditional Maori (indigenous New Zealander) performance celebration, and performing in some of New Zealand’s most well-known cultural centers are just a few activities that your ensemble will surely remember on their tour of one of the South Pacific's most beautiful countries.